Agilent Technologies introduces the Agilent 8500 field emission scanning electron microscopes (FE-SEM). Agilent 8500 is a compact system that offers researchers a field emission scanning electron microscope for low-voltage, high-performance imaging in their own laboratory. The innovative 8500 has been optimised for low-voltage imaging, extremely high surface contrast and resolution typically found only in much larger and more expensive field emission microscopes. 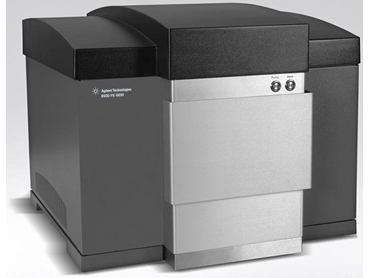 The Agilent 8500 FE-SEM electron microscopes are about the size of laser printers and provide convenient plug-and-play performance. No dedicated facilities except for an AC power outlet are required for operation. The unique scientific-grade scanning electron microscopes offer several imaging techniques for enhancing surface contrast. The 8500 allows nanoscale features to be observed on a wide variety of nanostructured materials including polymers, thin films, biomaterials and other energy-sensitive samples on any substrate. Jeff Jones, operations manager for Agilent's nanoinstrumentation facility says that the new 8500 gives researchers in ordinary labs an extensive set of powerful capabilities previously available only with conventional, centralised FE-SEMs. The high-precision, state-of-the-art solution is a reflection of Agilent's strong commitment to the nanomeasurement market.